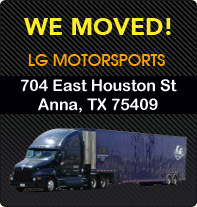 NEW FROM LG MOTORSPORTS! Taken straight off of our American Le Mans GT2 race car, our new GT2 wing offers incredible downforce for your track or race Corvette. Made entirely of carbon fiber this wing includes carbon fiber end plates and aluminum upper mounts. An aluminum wicker is also available. 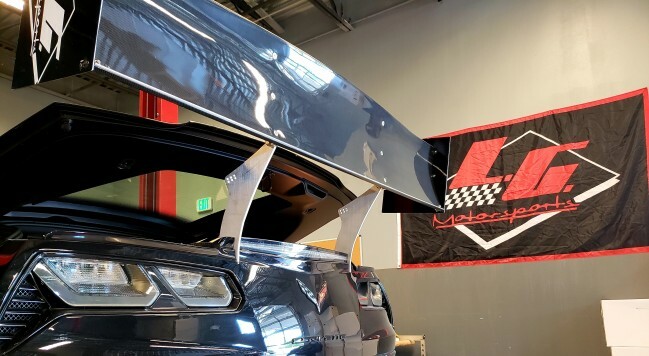 Our GT2 wing design has a very effiecent profile to give the user the most amount of down force without a huge penalty in aero drag. 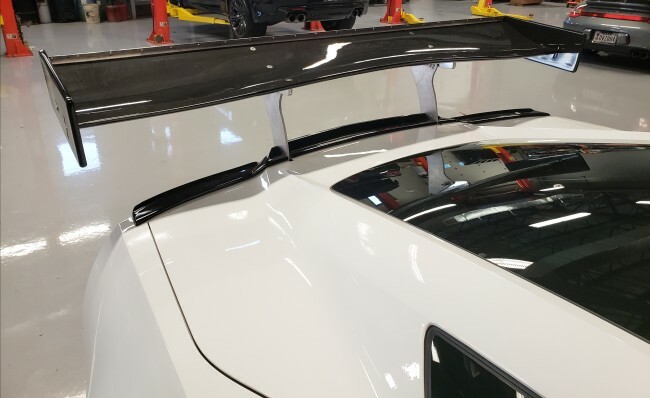 Our wings are designed to be mounted directly to the frame, not to the body work as this can cause damage to the body due to the added pressure through the wing. Ask about our mounting kit or make your own. 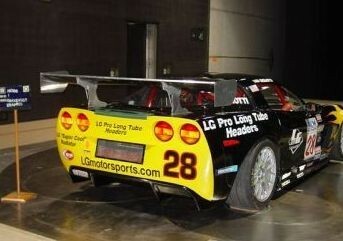 Should be used in conjunction with a front splitter for balanced aero down force. 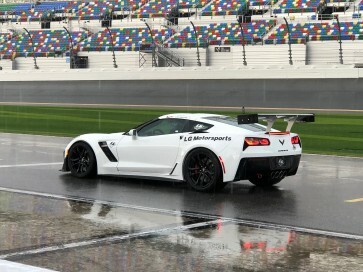 Spring rates my need to be altered depending on speed of the track and total down force on your car. Wing swivels for easy access to hatch access using, included, Quick Disconnect pins. Brake lights are retained with this configuration.